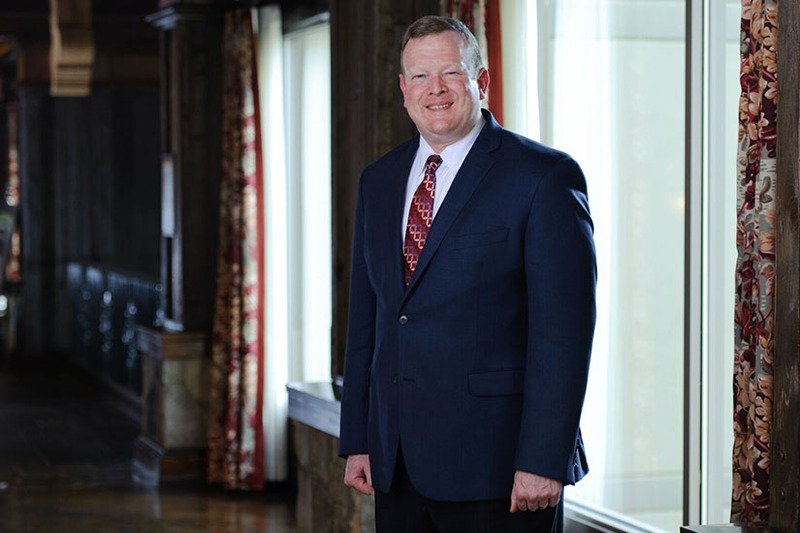 Brad Carver is the Senior Managing Director of HBS Government Affairs and is a member of the Government Affairs; Energy, Regulatory and Utilities; Environmental, Mass Torts and Land Use; International; and Business Litigation practice groups. He is the District Chairman of the 11th Congressional District, a member of the Executive Committee of the Georgia Republican Party, an alternate delegate to the 2012 Republican National Convention in Tampa, FL, and a delegate to the 2016 Republican National Convention in Cleveland, OH. Prior to Hall Booth Smith, P.C., Mr. Carver worked for Miller & Martin, Alston & Bird, the Georgia Municipal Association, and Georgia Power Company. During law school, Mr. Carver deployed with the Army to Tuzla, Bosnia, from May 1996 to January 1997 as the Commander of a Detachment of the 341st Adjutant General Co. and was awarded the Meritorious Service Medal. In September 2003, Mr. Carver returned to Atlanta from a 14-month tour of duty in Kuwait and Iraq where he supported 3rd Army as the Deputy Chief of Staff for Personnel. He was awarded the Bronze Star Medal for exceptionally meritorious service during combat operations in Afghanistan and Iraq during Operations Enduring Freedom and Iraqi Freedom. Mr. Carver retired after 28 years of service at the end of 2018 from the U.S. Army Reserves in the rank of Lieutenant Colonel, with his last duty position being Team leader at Fort Rucker, Alabama. A YEAR AFTER RULING, OUR WATER FUTURE IS NOW BRIGHT. Atlanta Journal-Contitution. July 14, 2010. Written by Scott Cole and Brad Carver. TAPPING THE TENNESSEE RIVER AT GEORGIA’S NORTHWEST CORNER: A Solution to North Georgia’s Water Supply Crisis, February 2008. ELECTRIC LEGALITIES: A LOOK AT THE ELECTRIC INDUSTRY’S TOP LEGAL CONCERNS, Utility Safety Magazine, February 2002, Volume 5, Number 1. THE NIGHT THE LIGHTS WENT OUT IN GEORGIA? The Effect of Electric and Gas Deregulation on Georgia’s Cities,”August 15, 1997. Written under the supervision of Professor R. Perry Sentell, Carter Professor of Law, University of Georgia School of Law, in conjunction with the Georgia Municipal Association. Published and provided to GMA member cities and the Georgia Public Service Commission. The paper was also presented at a CLE class in Athens and given to all participating City and County attorneys. Mr. Carver and his team represent business entities in their formation and ongoing operations. He also has a robust economic development practice negotiating tax incentives from state and local governments for clients. Mr. Carver focuses his practice on energy, utilities, environmental and local government law specializing in electric, natural gas, and telecommunications regulation. He represents clients before the Georgia Public Service Commission, the Georgia Environmental Protection Division, and the Georgia General Assembly. Mr. Carver specializes in representing clients before the U.S. Environmental Protection Agency, Region 4 and the Georgia Environmental Protection Division. Mr. Carver is Special Executive Counsel to Governor Sonny Perdue on water issues. He also represents clients on Clean Water Act issues, particularly water and wastewater permitting issues with the EPD. He understands the current water, land, and green technology issues the facing the Southeast. Mr. Carver also works with local government entities to plan, permit and implement solutions to provide long-term reliable water resources to the citizens of those communities. Mr. Carver is Senior Managing Director of HBS Government Affairs and represents clients before the Georgia General Assembly and various state commissions and agencies. He has been very active in the Georgia and Fulton County Republican Parties. He served as a strategist in numerous national and statewide political campaigns including serving as a Congressional District Chairman for John McCain’s Campaign in 2008, Speaker Newt Gingrich’s Presidential Campaign in 2012, Legal Counsel to the 2002 Sonny Perdue Campaign, and County Chairman to Lt. Governor Casey Cagle’s campaign. He is currently General Counsel to the Buckhead Young Republicans, was Treasurer of the Coverdell Leadership Institute Class of 2007 and is on the Board of the Republican Leadership for Georgia. Mr. Carver is also Vice-Chairman of the Fulton County Republican Party, Chairman of the 11th Congressional District and serves on the Georgia Republican Party’s Board of Governors and State Executive Committee. He was an Alternate to the Republican National Convention in Tampa in 2012 and a Delegate to the Republican National Convention in Cleveland in 2016. He has served as Special Executive Counsel to the Governor on water issues which landed him on the History Channel “How the States Got Their Shapes” and on the front page of the Wall Street Journal. He was named the Georgia Republican “Man of the Year” in 2011, was a Daily Report Dozen Under 40 in 2008, and Atlanta Business Chronicle (2007) and Georgia Trend 40 Under 40 (2011). Mr. Carver specializes in economic development and negotiates tax incentives from state and local governments for clients. He also helps international clients looking to locate their operations in Georgia and the rest of the Southeast and focuses particularly on German clients. He currently serves as the Secretary of the German American Chamber of Commerce in Atlanta. Mr. Carver is also a member of the Georgia Economic Developers Association.